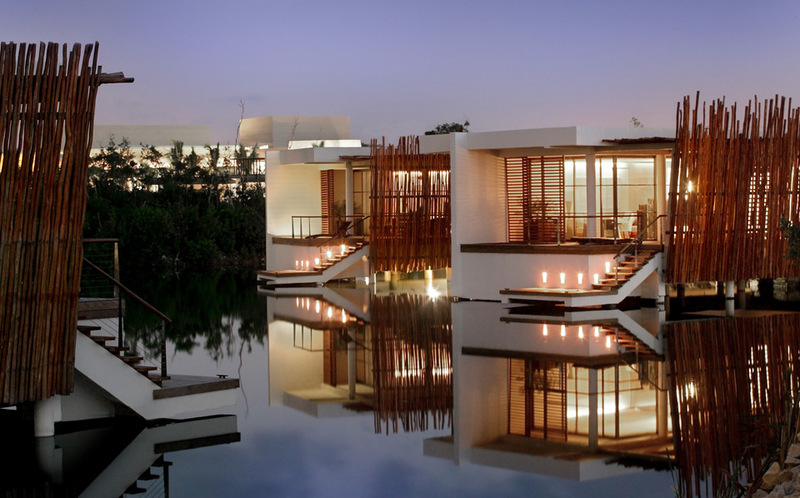 Since its grand opening in 2008, Rosewood Mayakoba has been recognized as the ultimate romantic getaway. Guests have been intrigued by this beautiful resort, as the prominent location, romantic dining, and secluded spa all create a perfect stay for you and your partner. A couple of our team have visited the hotel in person and they have said it is one of the most unique properties they have ever visited! 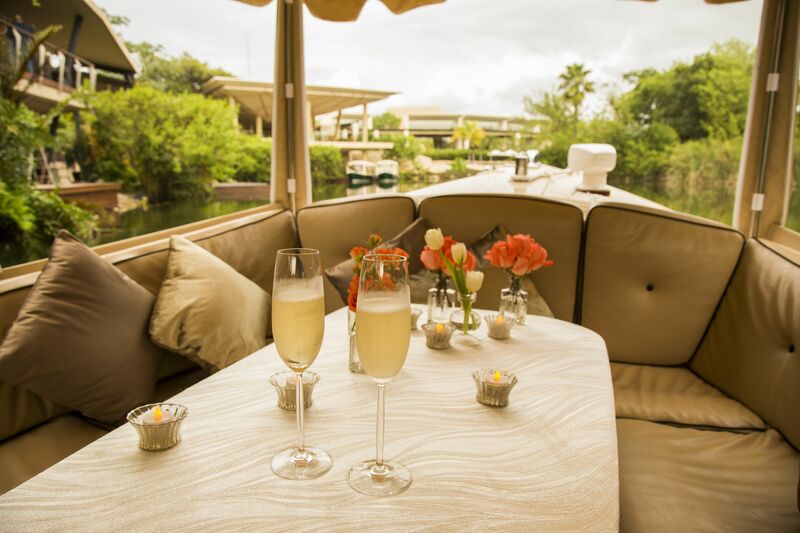 Your experience typically starts with you being escorted to your suite by a small boat which sets the scene for the wonderful experience you are about to begin. PLUS we often have access to special offers at this property so contact us for more information! Surrounded by white beaches and unique jungles, the beauty surrounding this resort is undeniable. 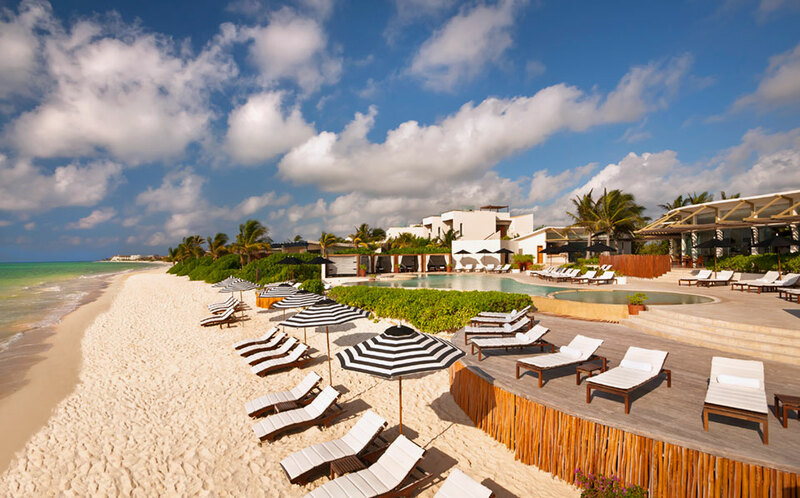 This 1,600 acre oasis lies in the south of Cancun and north of Playa del Carmen. This outstanding location not only guarantees couples to feel enveloped in true bliss, but also pronounces opportunities for great adventure. 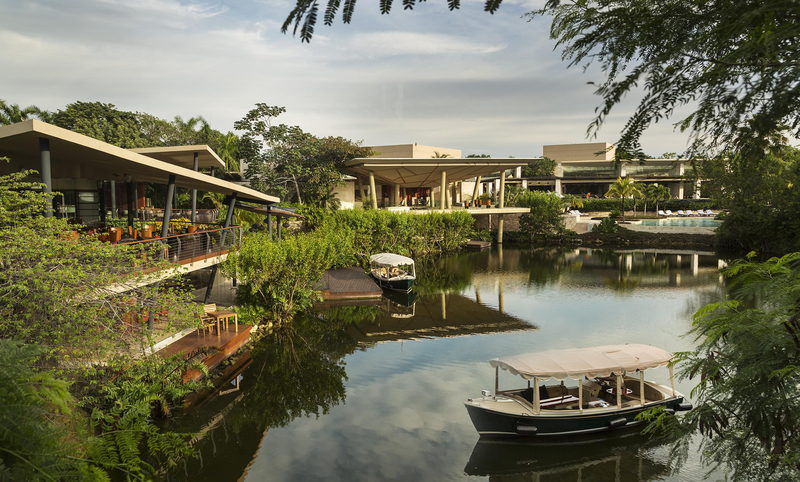 Whether shopping in the local streets, seeing Mexico's finest art, or experiencing the rich history of Mayan culture, all activities are accessible throughout your stay. 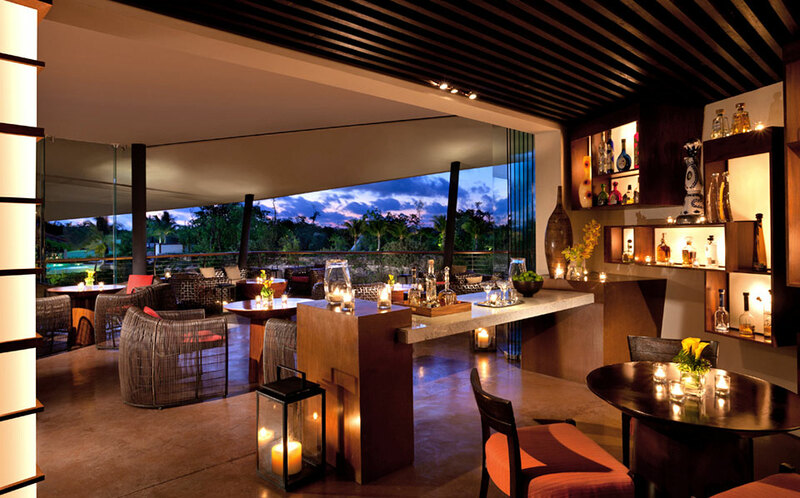 Offering some of the finest dining available in Playa del Carmen, Rosewood Mayakoba offers guests a wide variety of exquisite cuisine. Everything from a luxurious Italian meal to a upbeat tequila bar is accessible. Guests can also experience the Mayan culinary culture by participating in "A Sense of Taste", a unique program including touring and tasting the finest cuisine Mexico has to offer. 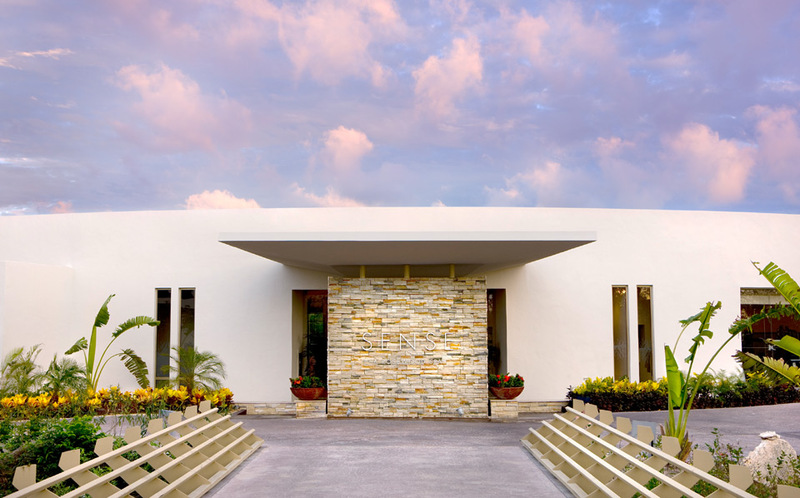 They also have Introduced a new type of culinary experience to the region, with La Ceiba, which is designed as an interactive environment for guests to partake in cooking demonstrations,tastings and even foraging for their own produce from over 45 types of organic vegetation to create exquisite delicacies with unmistakable Mexican flare. 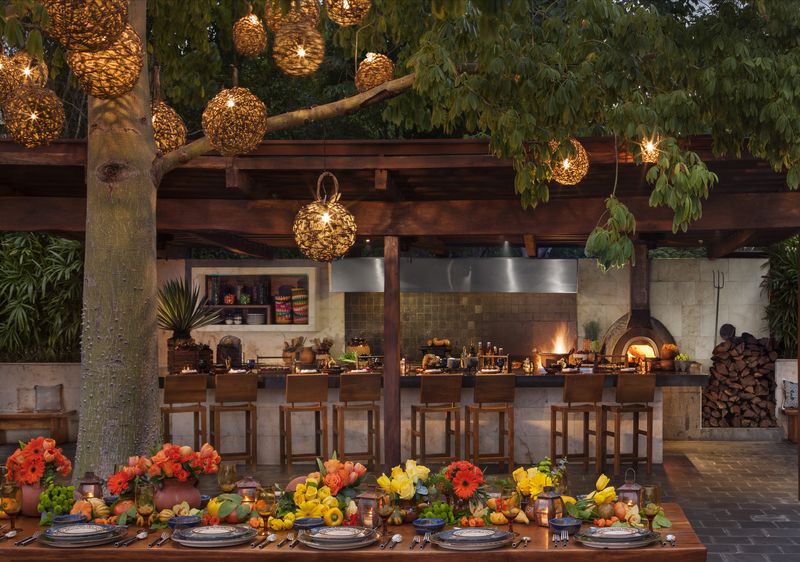 The al fresco kitchen and garden, which serves only food cooked over an open flame in accordance with Mayan tradition, features an extensive variety of organic fruits and vegetables, a unique array of Mexican herbs and spices, and over 20 different sections designated for planting. The garden is also home to various groves of tropical trees native to the Yucatan Peninsula, surrounding a contemporary, fine dining setting anchored by an 18-person communal table. Sense, a Rosewood Spa, lies on a secluded island away from the resort. Offering a wide range of treatments, Sense strives to offer each guest a peaceful experience while including ancient Mayan techniques. Perfect for couples, this spa offers Escape Together: Eclipse Sun & Moon Journey; a unique three hour experience for you and your significant other. 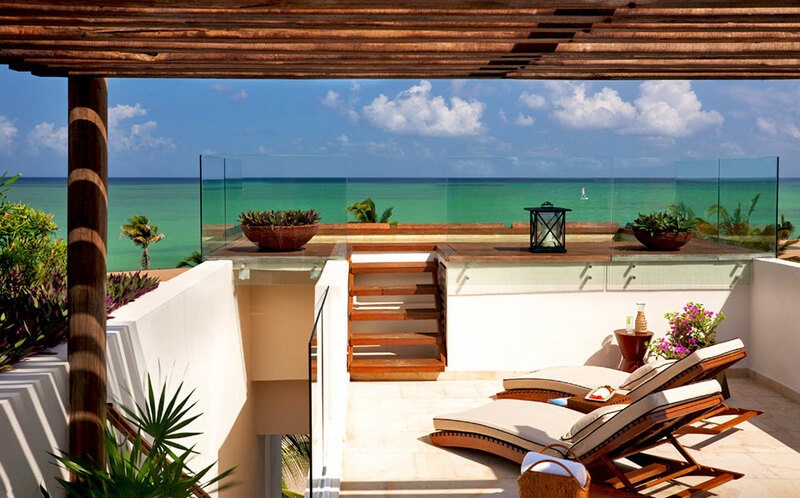 With 130 exclusive suites available, guests experience true comfort, and tranquility. Island Suite: The bedroom and master bathroom are located on the suite’s entry level, while the downstairs living room includes a full wet bar and a second bathroom with rain shower. Additional features include a private treatment cabin with outdoor rain shower for in-suite spa services, and a heated plunge-pool. Located on the spa island. Deluxe Lagoon Suite: These one-bedroom suites include a sitting room with sofa bed that can be closed off from the bedroom with sliding doors for additional privacy, as well as a second bathroom with rain shower. Exterior features include outdoor rain shower, roof top terrace and pool terrace with sun loungers. Deluxe Overwater Lagoon Suite: Provides an inviting lounge terrace with a relaxing plunge pool, luxurious bathroom complete with outdoor garden shower, private walk-in closet and spectacular views of the lagoon and mangroves. The Deluxe Overwater Lagoon Suite is ideal for honeymooners and couples. Beachside Lagoonview Suite: These one-bedroom suites showcase amazing views of the lagoon and mangroves from the living room and pool terrace with the easy access to the resort’s Punta Bonita pool and beach club entrance. 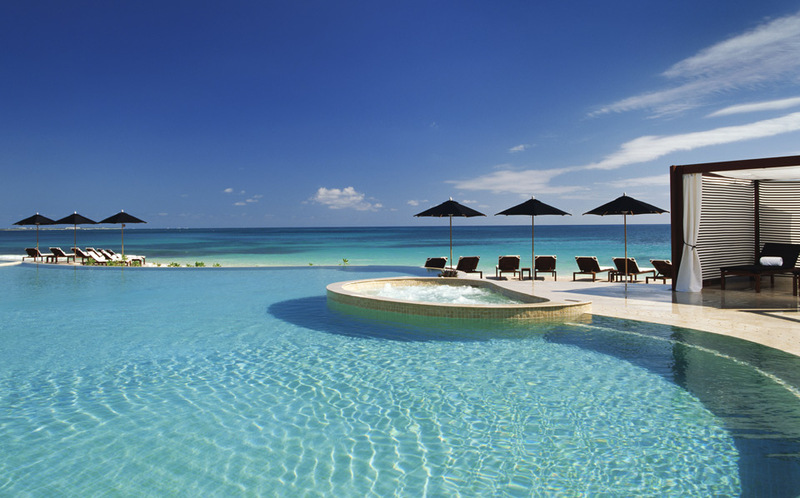 Two Bedroom Deluxe Mayakoba Suite: These townhouse style suites are comprised of a lagoon side grand master bedroom including king size bed with seating area, over sized bathroom and outdoor lounge area. An upper level living area with sleeper sofa, a second bedroom with two full beds or one queen bed, a full bath and closet space. The outdoor terrace features a private plunge pool, and a rooftop sundeck with a day bed and lounge chairs offering outstanding Caribbean ocean views. Presidential Lagoon Suite: Offers a large living and dining area, circular TV room for a relaxing family afternoon, studio and kitchen with a separate pantry. Connected to the main building by a bridge, the Presidential Lagoon Suite offers a separate master bedroom for additional privacy, spacious bathroom, walk-in closet and private plunge pool. Each of the two additional bedrooms offer private bathrooms. One offers a king bed; the second features two queen beds. In the main building, the private pool is large enough for the entire family and the extensive wood terrace is an ideal spot for sunbathing. Beach Front Presidential Suite: Brings in breathtaking views of the ocean and access to a spectacular terrace suitable for exclusive dinners by the beach. With two large bedrooms, luxurious bathrooms, study, TV rooms, lounge terraces and two oversized plunged pools, this suite delivers luxury and privacy. The master bedroom also offers a unique swim-up pool as a personal retreat. Casa Laguna: Residents of Casa Laguna walk into an expansive living and dining room overlooking the picturesque lagoon with floor to ceiling windows. Adjacent to the living room in a contemporary open floor plan is a chef’s kitchen. On the lagoon level, three bedrooms including two master suites with en-suite bathrooms offer ample room for couples or families looking for the ultimate in relaxation. 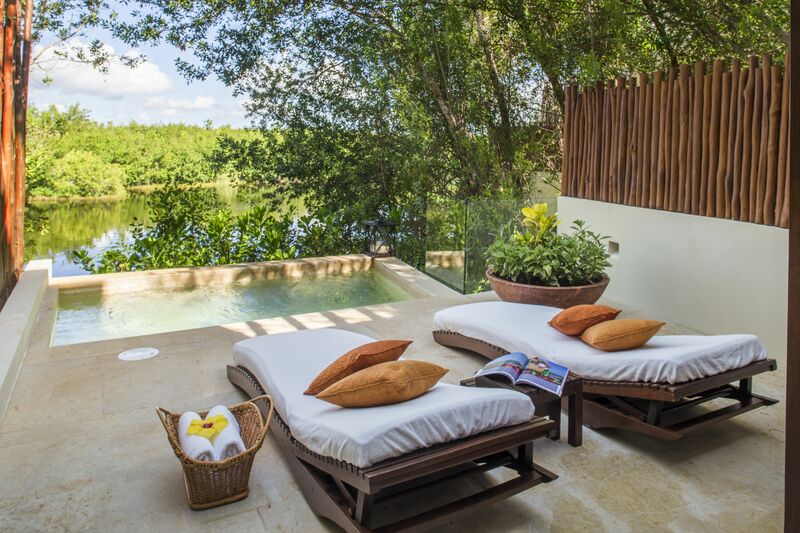 For couples interested in a romantic getaway filled with luxury and adventure, the Rosewood Mayakoba is a perfect fit. For more information, please contact one of our Luxury Travel Specialists on 604-736-7447 or via the 'contact us' button above.